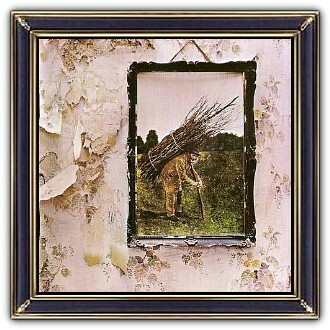 The Album Art of Led Zeppelin IV is probably the most remarkable in the history of Rock Music. After the success of the first two albums, Led Zeppelin III (although it reached a number 1 position) was considered a commercial disappointment. To prove that people did not buy a new album because of the band's earlier successes but only because of the music, Led Zeppelin released a new album that was contrary to all odds ... A packaging of Mystery & Mysticism. 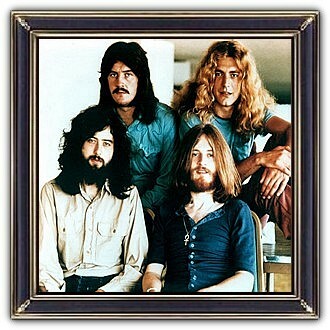 The album became a huge success and Led Zeppelin made their statement. With this album Led Zeppelin proved to be one of the greatest Rock Bands of the World. The album cover was among the ten chosen by the Royal Mail for a set of 'Classic Album Cover' postage stamps issued in January 2010. November 8, 1971: fans began finding an Album in record stores with no name on it. On the front cover there was just an old man with a bundle of sticks on his back. Folding the front- en back cover together revealed that the old-man-scene was a painting; hanging on a wall of an apartment that was partly torn down. This 19th-century rustic oil painting on the front of the album was purchased from an antique shop in Reading, Berkshire by Robert Plant. As anonymous the outside as anonymous and mysterious the inside. 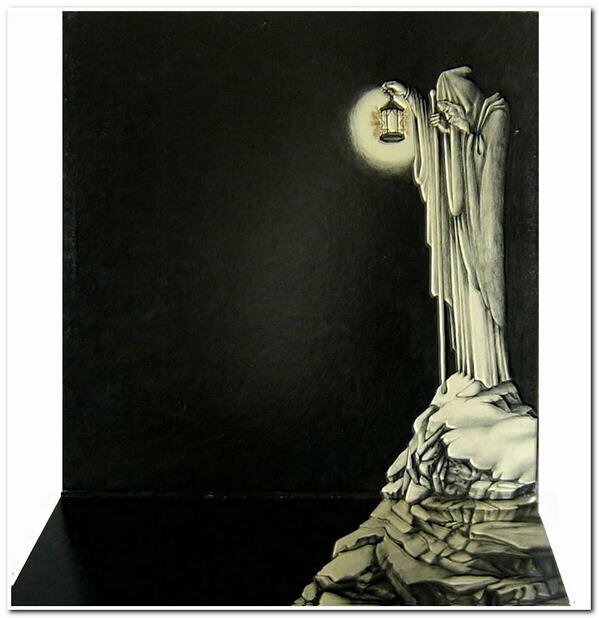 The inside showed a pencil drawing of an occult-like hermit standing on a high rock looking down. And even looking on the record sleeve there was still no information about the band's name. Only some basic information about the song titles with four mysterious runic symbols, the lyrics of 'Stairway to Heaven' in an ancient script and a small drawing of a man holding a book with mystical markings on it.